AAOE has several options for how you can renew your membership for 2019. The quickest and easiest way is to pay your renewal invoice online through your member account. As an Individual Member, you can log in and pay your Dues Renewal Invoice for the next year. If you are a part of a multi-member organization, your dues are grouped with the rest of everyone affiliated with your organization. The Primary Contact for your organization can log in to the Organization account and pay the full Dues Renewal Invoice for next year. If you unsure sure about your membership, please email info@aaoe.net and provide your full name and your practice's name, or call 800-247-9699. 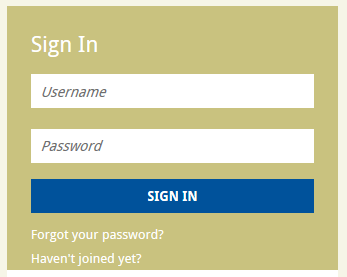 If you do not see the Sign In fields in the gold My Profile box, you already are signed in. Click on Manage Profile. 3. On the Membership Information page, you will see a list of past and present invoices. Find the one that is shown as Open under the Status column, then click on the Make an Online Payment button. 4. This opens your membership invoice. Fill in all required fields (indicated by a red asterisk) and then click on the Submit Payment button. 5. Once you get your confirmation, your membership is renewed! If you have any questions or need assistance, please reach out to AAOE Member Services at info@aaoe.net or 800-247-9699.